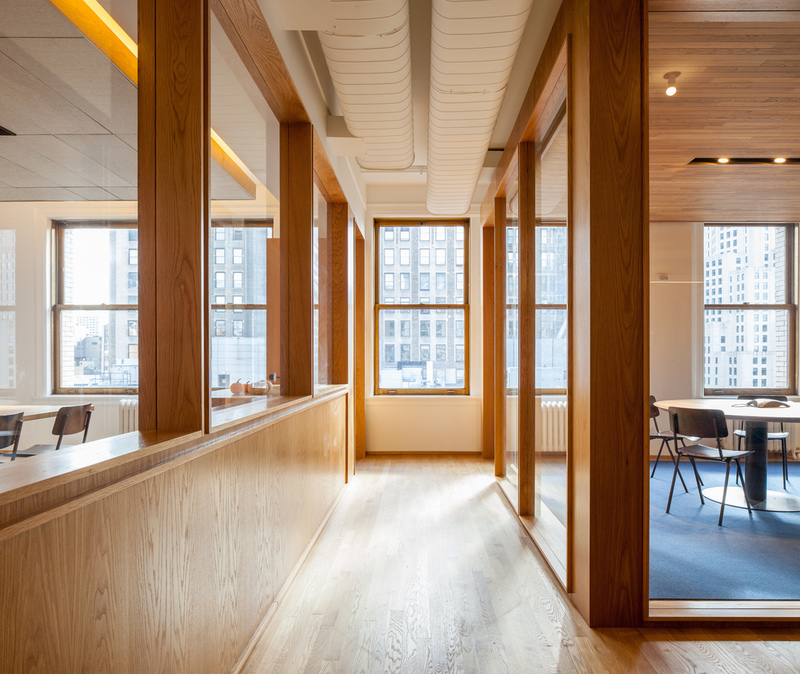 This forward-thinking young law firm didn’t want the typical law office stuffiness but needed something that functioned like one. 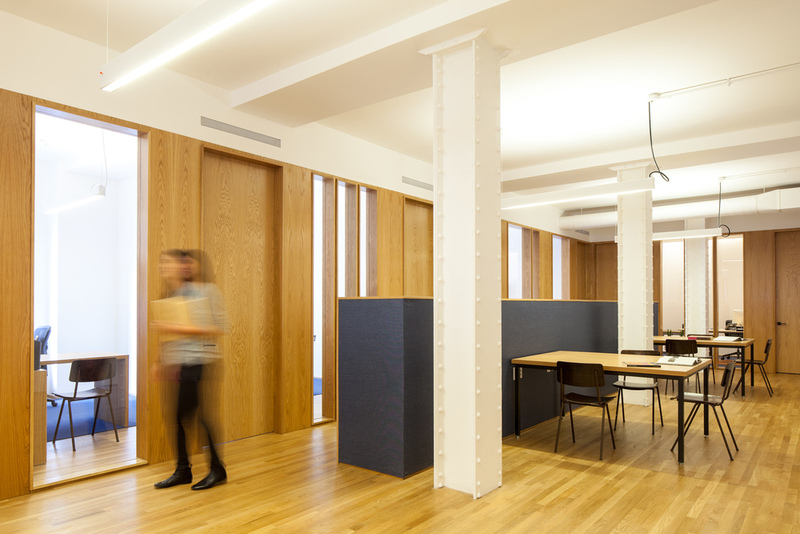 The custom wood framed glass partitions allow light to flow through the floor while providing needed sound barriers. Color and texture are provided in felt ceiling tiles, custom upholstered seating, and carpets.